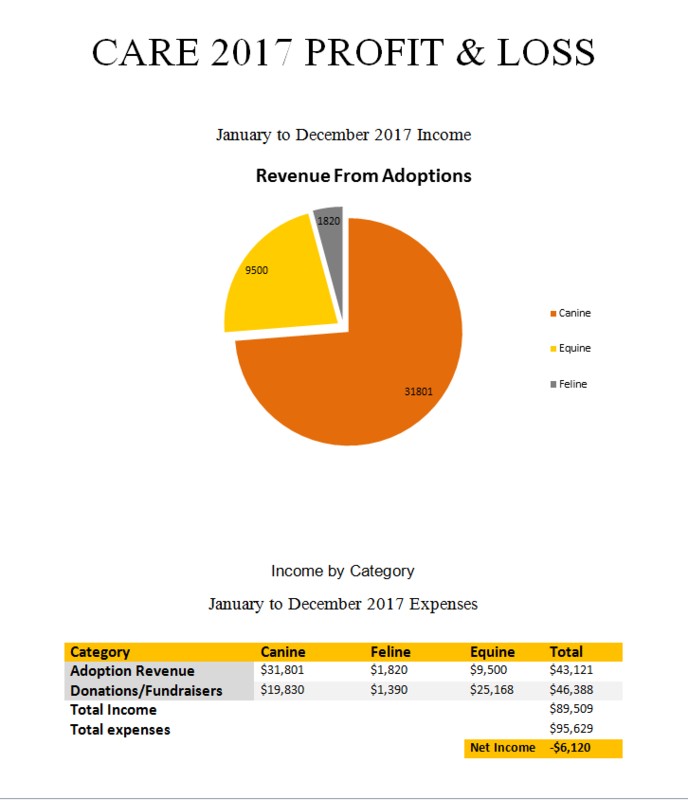 Here are our profit and loss statements for 2017. As you can see, we had a $6,120 loss in 2017. 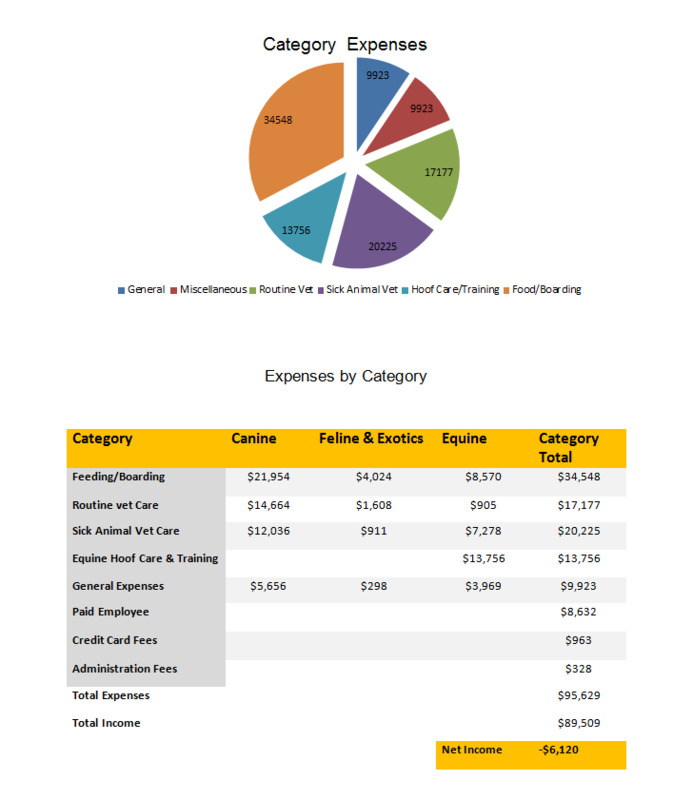 We are sometimes asked how the organization can exist if there is a net loss. The bills are paid by our founder and she is reimbursed each month. If there are inadequate funds to reimburse her, she will let CARE hold a balance until CARE can re-pay her. Obviously there sometimes has to be a decrease in animal intake until funds are replenished.